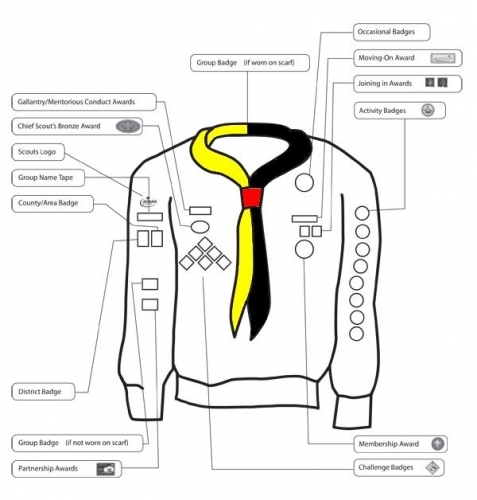 Please note that the Scout Shop does not accept payment by card, only cash or cheque. 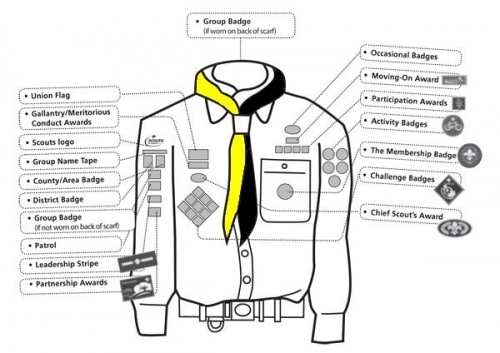 The following diagrams show where badges should be places on a uniform. If in doubt please ask a Leader.